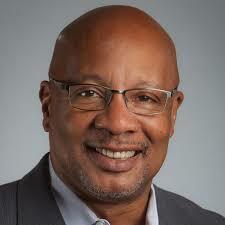 Dr. Warren Simmons, NEPC's Senior Policy Advisor, is an accomplished executive, education advocate, and scholar. In this work, he has been committed to raising education standards and performance, increasing learning options, and expanding opportunities for students of color and those living in underserved communities. He founded the Philadelphia Education Fund, an organization that helped the School District of Philadelphia fund, develop, and implement comprehensive school reform; and served for 16 years as Executive Director of the Annenberg Institute for School Reform at Brown University. He is a recipient of the Distinguished Service Award from the National Governors Association and a veteran of prominent nonprofit and corporate boards, including the National Center on Education and the Economy, FHI360, the Nellie Mae Education Foundation, the Merck Institute for Science Education, the College Crusade of Rhode Island, and the Campaign for Educational Equity. He currently plays a senior role in supporting the Partnership for the Future of Learning and the Education Justice Network.